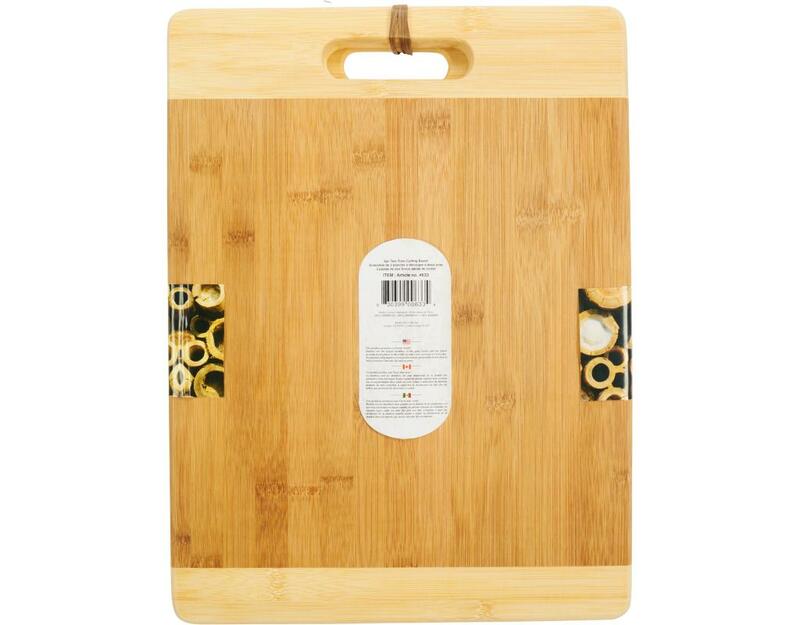 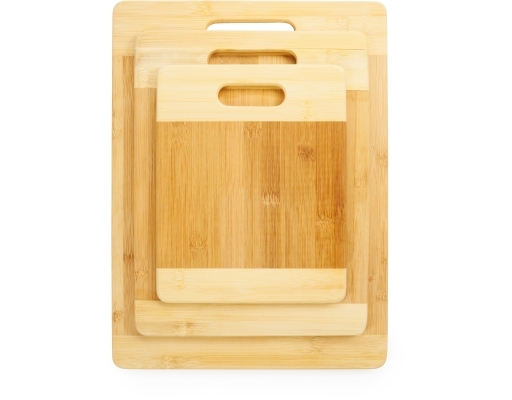 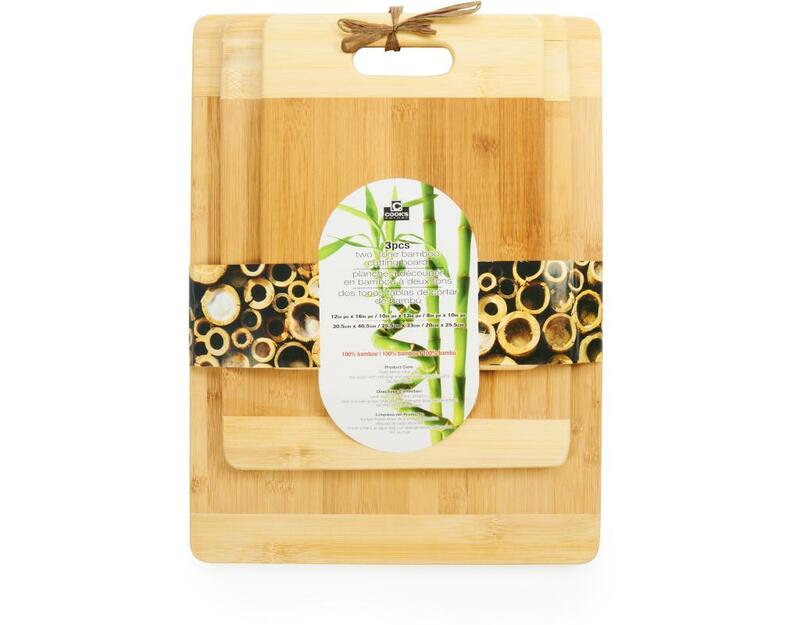 This 3-piece two-tone cutting board set is a great addition to any kitchen. With three different sizes, there's no limit to what you can prepare. 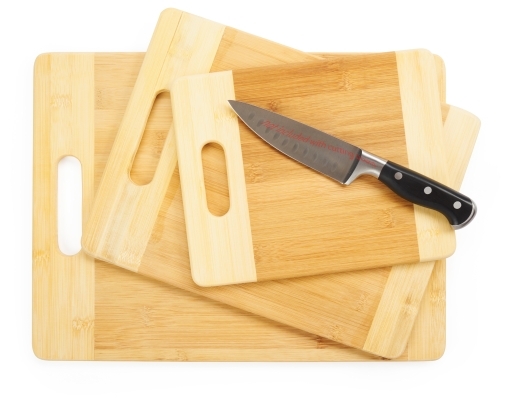 The handles make them easy to use, clean and store away. 1x Large Cutting Board: 12" x 16"
1x Medium Cutting Board: 10" x 13"
1x Small Cutting Board: 8" x 10"